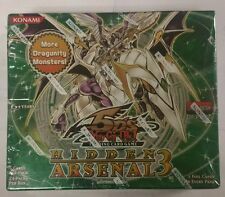 You are buying aYugioh Circuit Break 1st Edition Booster Box Factory Sealed. Trending at $72.20eBay determines this price through a machine learned model of the product's sale prices within the last 90 days. YU-GI-OH card series: RISING RAMPAGE BOX. (Total 150 cards). Sealed Box. from Japan. by handling the situation on the your ground. One of the Hardest Boxes to Find! Factory Sealed from a sealed Case No dents or dings. 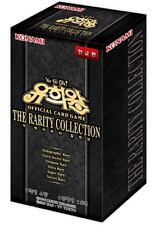 YUGIOH CARDS " The Rarity Collection " BOOSTER BOX. - Made in South Korea. Shonen Jump Yu-Gi-Oh! English Edition, 1st Edition. Cards are new, in original box with shrink wrap. Yu-Gi-Oh Metal Raiders Unlimited Booster Box Brand New Sealed 2002 . Condition is New. Shipped with USPS Priority Mail. Yuigoh Lord of the Tachyon Galaxy English Booster Box! One of the Hardest Boxes to Find! Factory Sealed from a sealed Case No dents or dings. Mai’s “Amazoness” monsters excel at all things combat! You’ve seenThe Legendary Fisherman andThe Legendary Fisherman III. Now, the missing generation in the family will be revealed! This valiant warrior spent his life in search of a great whale that can surface in the middle of any Duel, and you’ll be able to find it inLegendary Duelists ! 1ST EDITION CYBERDARK IMPACT from theYu-Gi-Oh! It has seen shelf life, but has never been opened! See pictures for specific condition. Join the heroes of Yu-Gi-Oh! 5D's, Yu-Gi-Oh! ZEXAL, and Yu-Gi-Oh! GX, but it also includes new cards they use in Yu-Gi-Oh! Trending at $299.99eBay determines this price through a machine learned model of the product's sale prices within the last 90 days. Condition: Factory Sealed. Edition: 1st Edition. Yugioh Cards " Duelist evolution " Booster Box. Trending at $36.24eBay determines this price through a machine learned model of the product's sale prices within the last 90 days. 2014 KONAMI YUGIOH PRIMAL ORIGIN BOOSTERS. ~ Primal Origin is the epic conclusion to the Barian War from Yugioh Zexal! ~ This new booster includes new Chaos XYZ Monsters that can be summoned using the most powerful Rank-Up-Magic Spell Card to date. Product is New and Sealed. 1ST EDITION PHARAONIC GUARDIAN from theYu-Gi-Oh! It has seen shelf life, but has never been opened! See pictures for specific condition. Deck Cards - 41 Cards. Special cards - 4 Cards. (15AY-KRTKN) Ultra Rare. ~~ 100-Card complete 1st edition set: 48 common cards, 20 rare cards, 14 super rare cards, 10 ultra rare cards and 8 secret rare cards. ~~ Factory Sealed Hobby Box ~~. BOOSTER BOX. GENERATION FORCE. Unopened - Factory Sealed. Trending at $65.19eBay determines this price through a machine learned model of the product's sale prices within the last 90 days. Cybernetic Revolution. Choose the one that best suits your needs. You are buying a 1st edition sealed Legacy of the Valiant Booster Box! Take a chance at pulling the newly unbanned Evilswarm Exciton Knight! Relive the old days with a chance to pull ultimate rare cards! Box will be shipped ASAP once payment is received. Only shipping within the US, thanks. Yugioh Cards Booster " Force of the breaker " Booster Box. [This item is in Japanese. Total type of cards in set: 51. Normal Cards x 30]. Rare Cards x 10. Super Rare Cards x 6. YUGIOH CROSSED SOULS 1ST EDITION BOOSTERS. The Crossed Souls booster set includes 100 cards: 48 Common Cards, 20 Rare Cards, 14 Super Rare Cards, 10 Ultra Rare Cards, and 8 Secret Rare Cards. Crossed Souls unlocks new Deck-building opportunities like never before for the Yu-Gi-Oh! The Shining Darkness provides Duelists with an opportunity to get Secret Rares with more frequency. This set includes 8 Secret Rare cards just like previous sets, but we've increased the chances to get a highly sought-after Secret Rare by over 30%. Thunder Dragon Colossus. Yu-Gi-Oh Soul Fusion Booster Box. The Soul Fusion booster set contains 100 cards Chaos Dragon Levianeer. The world's largest source of trading cards and collectibles. About Dave & Adam's. Konami 2005 Yu-Gi-Oh! Series 2 Panther Warrior CT2-EN006 Collector's Tin. Very Rare Exclusive Panther Warrior Holo Foil. Factory Sealed Tin / Mint Condition. Tin Includes. ARC-V series, including several cards to help players power up their current Deck, or build a whole new Deck! The Wing Raiders booster set contains 60 cards: 27 Commons, 12 Rares, 10 Super Rares, 6 Ultra Rares, and 5 Secret Rares. Absolute Powerforce features Jack Atlas' "Majestic Red Dragon" - the latest and greatest upgrade for The Five Dragons. Don't miss out! We reserve the right to alter prices, sales or promotions without notice. It's the legend of The End of the World in Norse mythology, and now it heralds a bold new age of Dueling for the Yu-Gi-Oh! As Ragnarok approaches, the Norse Gods Odin, Thor, and Loki descend upon the Dueling world, backed up by the full fury of their monsters and warriors of the north. 2012 KONAMI YUGIOH ABYSS RISING BOOSTERS. ~ 100-card complete set: 48 Common cards, 20 rare cards, 14 super rare cards, 10 ultra rare cards, 8 secret rare cards. WILL BE FILED WITH E-BAY . Set: Number Hunters (NUMH). You’ve seen Number Hunters on TV use these powerful Xyz Monsters in their Decks. Number Hunters includes ZEXAL TV series. Trending at $51.51eBay determines this price through a machine learned model of the product's sale prices within the last 90 days. Pot of Extravagance. Yu-Gi-Oh Savage Strike Booster Box. The Savage Strike booster set contains 100 cards Borreload Savage Dragon. Witch's Strike. We are sorry for any inconvenience. For larger credit card orders, proof of identity may be required. Like Mai Valentine and Akiza Izinski! don't miss out on this! THIS IS NEW, SEALED, REAL, AND ENGLISH.